Richard is the third of twelve children born to Richard and Eleanor Sutton (their first two died in infancy). He married Margaret Greenbank in 1829 in Dent. Richard and Margaret's first child, Richard, is born the same year in Dent. According to Keith Sutton (a descendent of this Richard), Richard leaves Dent around 1830 to work for Pudsey Dawson at Bolton Hall, Bolton by Bowland. 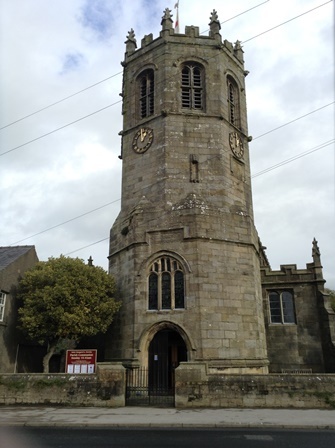 Their second child, Eleanor, is born in 1832 in Gisburn which is just outside Boton-by-Bowland. 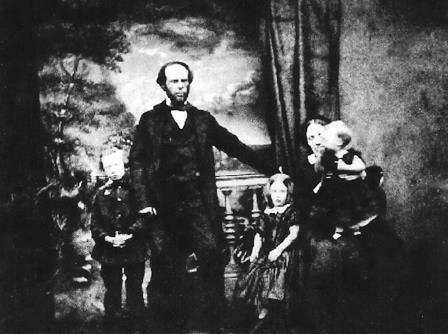 Their third and fourth children, Robert and Mary are both born in Bolton-by-Bowland, Robert in 1835 and Mary in 1838. 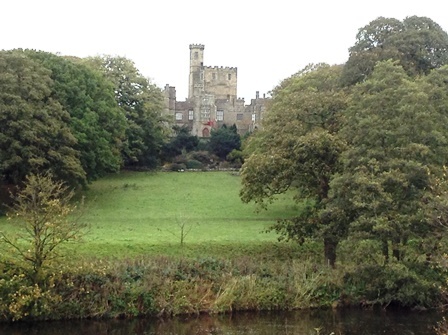 Pudsey Dawson inherits Hornby Castle in 1840. Pudsey Dawson was high sheriff of Lancashire for the year 1845. It looks like Richard moved with his employer as in the 1841 census he is living at Melling, which is just up the road from Hornby, (he is called Lutton in census). He is 35 and a game keeper; his wife, Margaret, is 40; their children are living with them: Richard, 11, Ellen 9, Robert 6, and Mary 3. They also have a lodger, William Frankland, who is also a gamekeeper and is 36. Richard is 44, his wife, Margaret, is 49; their children, Eleanor who is 19 years old and a dressmaker; Robert, who is 15 years old and an assistant gamekeeper; and Mary, who is 13 years old, also live at the Lodge. There is an article in The Westmoreland Gazetter of Saturday, 25th February 1854, which tells the story of how Richard, gamekeeper to Pudsey Dawson and Joseph Batty, gamekeeper to Mr Marshall of Wray, were out at night on 22nd January when they witnessed two poachers. The article is a report from the court case which tells the story in detail. The two poachers were found guilty. In the 1861 census Richard is still living at Hornby Hall. He is now 53, his wife, Margaret is 60, and their daughter, Mary, is 23. They have another lodger, Thomas Spencer, aged 28, who is a gamekeeper's assistant, he was born in Clapham. Richard's wife, Margaret, dies in 1867 and on 4th June 1867 he marries Mary Beetham. The parish records say that Richard is 60 and a widower. He is a gamekeeper and lives in Hornby. The marriage record says his father is Richard Sutton who was a steward. Mary Beetham is 52, a spinster, and lives in Elton. Her father was Thomas Beetham, stone mason. Their witnesses are Ann Adcock and John Cooper. They are married at All Saints church in the parish of Elton. In the 1871 census they are living in Hornby village in a house which is next to the Castle Inn Hotel, opposite the lodge. Richard is 64; his new wife Mary is 55 and was born in Lancaster. His grand daughter Martha Ellen (Robert's daughter) is living with them and is 5 years old; she was born at Calder Bridge, Cumberland. They have a 13 year old domestic servant called Elizabeth Moreton and two lodgers, William and Frances Houseman. William is 34 and an estate agent whilst his wife Frances is 27. Richard is included in the 1881 census with his second wife, Mary, and his grand daughter, Martha Ellen, who is now 15 and a dress maker. Richard's daughter Ellen Town, aged 48, whose husband and family are living in Old Hutton and Holmescales, Westmorland, had clearly come to look after Richard. 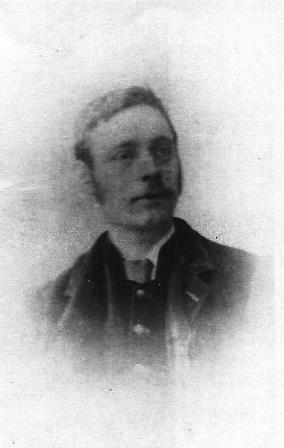 Richard dies on 17th April 1881, he is 74 years old. His will, which is a personal estate of under £500, is proven by his nephew, Richard Sutton, farmer, of Leck Fell House, Leck Fell and Isaac Parker Bretherton, carpenter and joiner of Wray, his executors. I am not sure where he is buried but it seems likely to be Hornby. Here are a few photos I took in November 2013: Hornby. 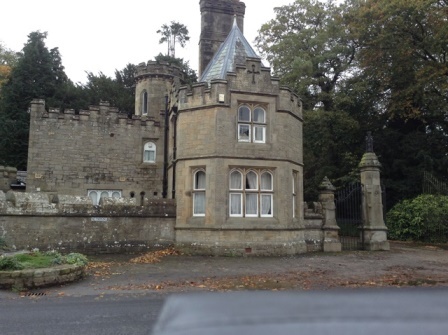 Richard had been the game keeper at Hornby Castle for forty years working initially for Pudsey Dawson, then for his nephew, Richard Pudsey Dawson who inherited the Hall in 1859; who then sold the Castle to the Bradford mill owner (Black Dyke Mill, Queensbury) John Foster. Hornby Castle is privately owned but holds open days. Richard married Ann Tate in Darlington in 1849. In the 1851 census, Richard and Ann are living at Bank Top, Sharples, Lancashire (between Bolton and Darwen). Ann is five years older than Richard and was born in Darlington. They are both down on the census as being British teachers. They have a seven month old daughter, Margaret Ann, and a servant, Elizabeth Petty aged 17. Richard dies two years later at the age of 23 years. In the 1861 census Ann and her daughter Margaret Ann are lodging at 54 Bridge Street, Chorlton-upon-Medlock; Ann is a teacher at a congregational school. The following year Ann marries James Craig. 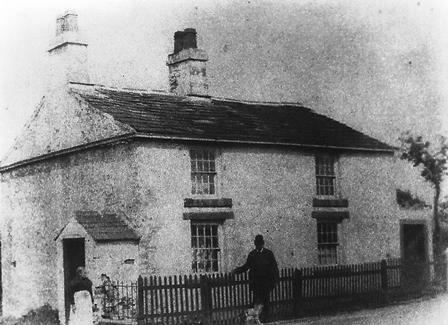 They move to Rhuddlan in Wales and then back to Broughton, Salford where, in 1881, Ann and her husband are running a boys home at 139 Great Clowes Street, Broughton, Salford which is part of the Together Trust. Richard and Ann's daughter, Margaret Ann, marries Isodore Kloet (Isodore's father is Belgian and his mother, Dutch). They have three children, James H. Kloet (1869-1933), Leah Kloet (1872-? ), and Richard Kloet (1880-1911). Isodore, who was a hairdresser, dies and Margaret Ann marries Philip Lancashire in 1889. It looks like William had been married before and already had two children, George and Elizabeth, both born in Keighley, George in 1855 and Elizabeth in 1857. Thus when Eleanor and William's first child arrives in 1861 he is christened Richard Greenbank Sutton Town. I have found this to be a tradition: when there are children from a previous marriage, the maiden name is often incorporated to make a distinction. But here Eleanor is including both her own maiden name as well as the maiden name of her mother. In 1861 the family are living in Keighley, William is a shoe-maker employing four men. 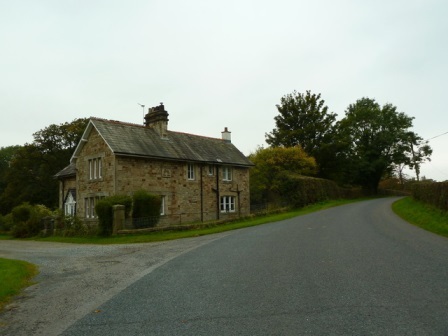 By 1871 they have moved to Low House, Old Hutton with Holmescales, Westmorland. 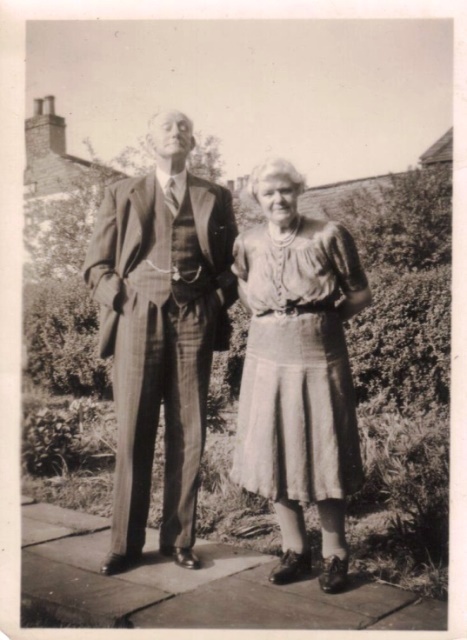 William is now a farmer of 150 acres and there are more children: John H born 1863 in Keighley; Frances Margaret born 1865 in Old Hutton; Jane Eliza, who was born in 1870 but died the following year; and Hannah, born 1874, also in Old Hutton. In 1881 William is still at Low House, Old Hutton with five of his children: Elizabeth, Richard, John H., Margaret and Hannah. Eleanor is staying at her parents in Hornby; the census is taken on the evening of 3rd/4th April and her father dies on 18th April. I'm not sure what happens to Eleanor, William or their children: I cannot find them in any records after 1881. Robert is 26 and Hannah 23, her father is Thomas Town, a cordwainer. Joseph Town and Mary Sutton are their witnesses. Robert and Hannah go on to have eleven children. Robert follows his father's footsteps and becomes a game keeper for Richard Pudsey Dawson. This means he moves around the country and we know this from where his children were born. Their first is Margaret. She is born at Hebblethwaite Hall, Sedbergh in 1862. Frances (1864) and Martha Ellen (1865) were both born at Calder Bridge, probably whilst Robert was working at Ponsonby Hall. Unfortunately, I cannot find any photographs of Ponsonby Hall. 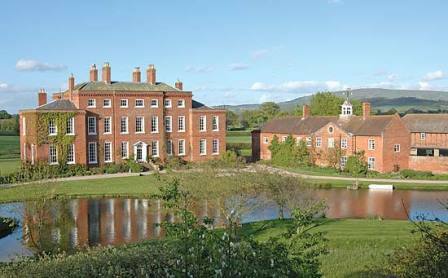 Richard (1867) and Thomas (1868) were both born in Delbury, Shropshire, whilst Robert worked at Delbury Hall. Annie (1870) and Charles (1872) were both born at Ecclerigg Hall, Killington. In 1871 Robert, Hannah and four of their children, Margaret, Fannie, Thomas and Annie, are living at Killington. Martha Ellen is living with her grandparents, Richard and Margaret in Hornby whilst Richard is living with the other grandparents, Thomas and Martha Town at Old Ford, Calverly. Louisa (1872), Ada (1874) and Kate (1877) were born at Old Hutton, which is just up the road from Killington. Richard and his brother Thomas are both with their grandparents, Thomas and Martha Town at Old Ford, Calverly. By 1891 Robert and his son, Richard, are living in Pudsey whilst Hannah is living in Town Street, Calverly with Farsley, with Frances 27, who is a weaver in worsted; Annie 21, who is a comber; Charles 19, a spinner; Louie 18, a weaver; Frank 12, a spinner; Kate 14, a drawer in worsted; and Ada 16 a weaver. Hannah died in 1896, according to the Lancashire BMDs, in Billington, which would be the parish for Langho. This photograph, taken at her funeral, has come via Keith Sutton. 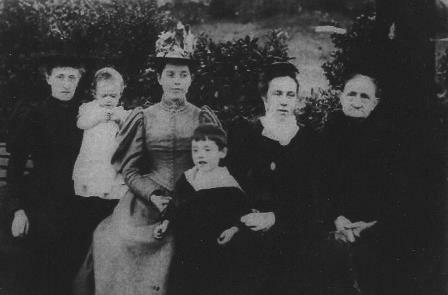 His grandmother, Lucy McCann who married Charles Sutton is the lady on the left and he thinks the lady on the right is possily Robert's sister, Eleanor. It seems likely the two women in the middle are Charles' sisters, the one on the right looks like Kate. Copyright Alexander P Kapp and licensed for reuse under Creative Commons Licence. Margaret (1862-1936): Margaret leaves home at some point after 1881 because in the 1891 census she is a qualified nurse working at an infectious diseases hospital, Burgh Mill Lane, Dewsbury. Margaret clearly moves around because in 1901 she is a district nurse living at 6 Corn Street, Witney, Oxordshire. In 1911 she is back up North again, this time looking after an 80 year old retired Lieutenant Colonel Frederick George Hawkins at 26 Hydro Avenue, West Kirby. Also living there is the Colonel's wife, Kathleen Emily, who is 42 years old and Rhoda Grace Jones, the cook and house keeper. I am sure there would have been lots of other places Margaret lived during her life. She died at the age of 74 and was living at Willows Cottage, Roughlee, Burnley which, I believe, was owned by her brother, Richard Sutton. She left £974 14s 7d to Richard Sutton retired pleasure boat proprietor and Frank Earnest Sutton packing case maker. Frances (1864- ): In 1891 Fanny is 27 and living with her mother in Calverly. She is a worsted weaver. By 1901 she is at 16 Granville Road where she is a servant for Martha Cannon, 44, who is also unmarried and a book-keeper. I am not sure what happens to Frances/Fanny after this. 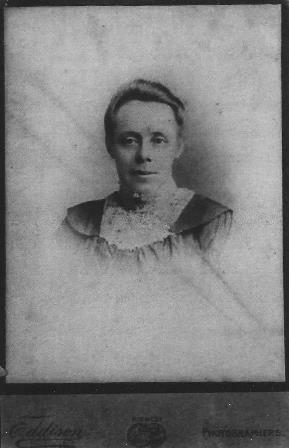 There is a Frances Sutton who dies at the age of 40 in Bradford in 1904. It is possible this might be her: I cannot find her in the 1911 census nor in the marriage records. It is interesting to note that in 1911 Martha Cannon is living in Doncaster where she is a companion to a 76 year old widow. Martha Ellen (1865-1941): Martha Ellen also remains single. She is a dress-maker and lives in Lancaster. In 1901 she is living in Lodge Street and in 1911 she is lodging with the Bramwell family at 54 St Leonards Gate. Martha Ellen dies in Lancaster in 1941 at the age of 76 years. Richard (1867-1940): In 1891 Richard has been married to Emma for a year and they live in Bramley, Leeds. He is 24 and works in a Worsted Wool Mill. His wife, Emma, is from Bramley. By 1911 Richard is a newsagent and has been married to Emma for 21 years, they have one child, who was born in 1894, and is now an apprentice automobile engineer. They are living at Kirkgate, Knaresborough. We know that in 1936 Richard is a retired pleasure boat proprietor. Richard dies on 30th December 1940 at Salts Hospital, Saltaire. He leaves £3,000 0s 22p to his son, Harold who is a newsagent. Thomas (1868-1936): Like his brother, Richard, Thomas is brought up in Calverly by his mother's parents, Thomas and Martha Town. He marries his wife, Hannah, in 1890. They have one child who dies. Thomas seems to have worked in a warehouse for most of his life. In 1901 he lived at 17 Arthur Street, Farsley, then in 1911 he and his wife were living at 3 School Terrace, Stanningly. Thomas died at 6 Park Row, Richardshaw Lane, Stanningly on 28th May 1936. He left £667 19s 11d to Richard Sutton retired pleasure boat proprietor and Frank Earnest Sutton packing case maker. Annie (1870-1939? ): Annie was living at 130 Town Street with her mother and some of her siblings in 1891, she was a worsted comber. She married Irwin Carter at St Thomas, Stanningly, on 22 August 1891. In 1901 she was living with her husband at 337 Stanningly Road, Bramley. Also lodging with them was her brother, Frank E Sutton, aged 22, who worked in a saw mill. Ten years later Annie is still at the same address but her husband, Irwin, has died. Later that year, on 22nd July 1911, Annie marries John Arthur Elsworth. I'm not sure what happens to her after this except that I have found a death for an Annie Elsworth, widow, in 1939 in Stanningly. I am guessing this is Annie. It looks like Charles took over from his father as game keeper at Old Langho. Charles and Lucy have nine children, their first, Richard being born in 1894 and dying the same year. Evelyn was born in 1895, William Alfred in 1899, James Robert in 1902, Richard in 1905, Francis 1906, Henry 1909, Edith Alice 1911, and Thomas Frederick in 1915. All of their children bar Thomas Frederick were born at Old Langho, Thomas Frederick was born at Barnoldswick near Colne. The 1901 census has the family living at the Old School House, Billington whereas the 1911 census simply says Old Langho. It is possible Charles died in 1934 at the age of 62 years in Nelson and Lucy died in 1940. I am guessing these dates from looking at the Lancashire BMDs. I am not sure what happened to his children except that William Alfred died in the first world war at Flanders on 8th May 1918. William Alfred is acknowledged on the War Memorial for Earby, he is buried at Tyne Cot Memorial. Louisa (1873-? ): In 1891 Louise is 18 and a weaver, she is living with their mother and siblings Fanny, Annie, Charles, Frank and Kate in Town Street, Calverly. I'm not sure what happens to Louisa. Ada (1874-? ): Ada is 14 and a weaver in 1891. 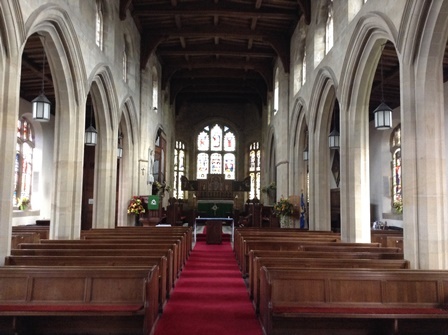 On 11th February 1893 she marries her brother-in-laws brother, Charles Richard Carter at St Thomas, Stanningley. At some point before 1920 they emigrate to the USA as we find them living in Essex, Masachusetts. They are at Marblehead, Essex, Masachusetts in 1935 and 1940. 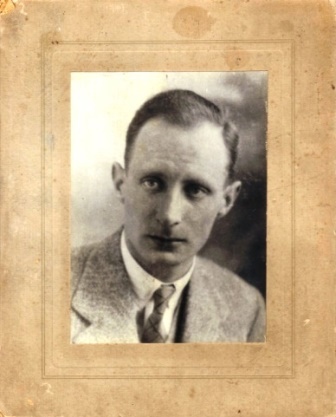 William Sutton (1906-1967): William lives at 714 Leeds and Bradford Road, attends Leeds Modern School and later qualifies as a structural engineer designing steelwork for large building projects. Moves to London in the late 1920's, is elected a member Institute of Structural Engineers and wins the Husband Prize. He marries Clarice Adela Needs in 1937 and they have a son Colin William. During the war William joins the Air Ministry designing the steelwork for aircraft hangers and underground control centres for Fighter Command. 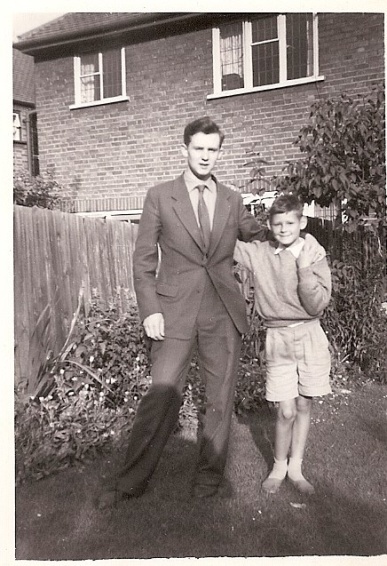 The family move to Alexandra Drive, Surbiton in 1960 where William dies in 1967. Clarice dies in Reading 1973. "My dad visited fighter command stations all over including Ireland and the one story he told was that he was billeted for a few days on a farm in Northern Ireland whilst visiting an RAF station there; the farmers wife gave him some eggs and bacon which he placed in his locked briefcase. Coming back to England, security asked him to open the case which he refused to do without the authority of the Air Ministry. 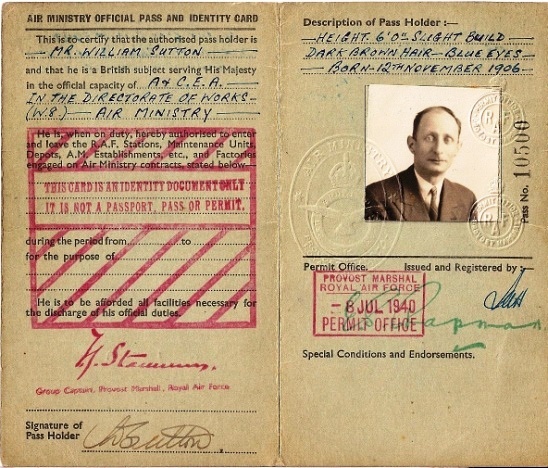 They phoned London, permission was refused so Mum had some extra ration items! The Air Ministry was in the Strand but I think Dad was based in Bush House at the end of Kingsway. After Hugh Dowding was replaced as Air Chief Marshal, Fighter Command, after the Battle of Britain, he left Bentley Priory and had an office in Bush House so it is very probable that they met. Dad used to talk about fire watching from the roof of Bush House during the Blitz." Here is another sliding door experience: I was stationed at RAF Bawdsey in Suffolk and RAF Bentley Priory in Middlesex, both underground control centres! I went to college many years later in Surbiton. I also 'sort of' met Stuffy Dowding at the premier of the film Battle of Britain when I presented a bouquet of flowers to the mayoress of Camden Town! Back to Richard and Margaret Sutton's youngest child, Mary. In 1861, she is 23 years old, unmarried and living with her parents at Hornby Castle. Mary married Richard Wilson who was born in Westhouse. I cannot find where they married or when. In the 1871 census they are living in Wray Street, Wray with Bolton. Richard is 35 and a coachman; Mary 33; their one month old daughter, Margaret Emma, was born in Wray. Sadly she dies at the tender age of 9 years in 1879. By 1881, Mary and Richard are living at Low Biggins, Wray. Richard is now head gardener and they have been joined by John, born in 1875 and Mary 1877; both born in Kirby Lonsdale. Ten years later and the family are living at 5 Bridge End, Settle. Richard is still a gardener. Their son John, now 16, is a painter's assistant whilst Mary, aged 14, is a cotton doubler. They have four lodgers. Richard dies sometime before 1901 as Mary is down on the census as a widow. She is living at 2 Green Street, Claughton, with her son John and his wife, Alice and their baby son Richard who is 11 months old and was born in Ireland. John is now a brick maker. If you recall, Mary's brother, Robert, is also living in Claughton, at the Lodge, in 1901.